Dr. Stefani Kappel is a Board-Certified Dermatologist and Fellowship-Trained Mohs Surgeon. Dr. Kappel earned her Medical Degree from UC Irvine and completed her residency in Dermatology at UCLA. After residency, she joined the faculty at UCLA as a Clinical Professor in Dermatology and Dermatologic Surgery. She then went on to complete advanced fellowship training in Mohs Micrographic Surgery at UC Davis and Laser and Cosmetic Dermatology at the Laser & Skin Surgery Center of Northern California with world-renowned laser expert, Dr. Suzanne Kilmer. 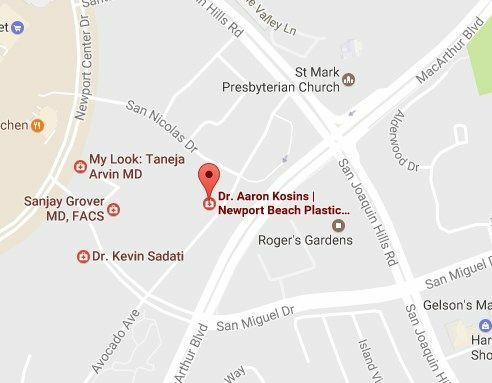 After fellowship, Dr. Kappel joined the faculty at the Laser & Skin Surgery Center of Northern California. Dr. Kappel’s areas of expertise include cosmetic dermatology with a focus on injectable neuromodulators (Botox, Dysport, Xeomin), as well as dermal fillers (Juvederm, Juvederm Voluma, Juvederm Volbella, Sculptra, Restylane Silk, Belotero and Radiesse). In addition, she is highly-trained in the use of lasers, ultrasound and radiofrequency devices to treat all aspects of photoaging including fine lines, wrinkles, skin laxity, brown spots and facial vessels. Dr. Kappel offers a comprehensive approach to body contouring with the use of minimally-invasive procedures- Cellfina, ThermiRF, Coolsculpting, and Tumescent Liposuction. She also specializes in Dermatologic and Cosmetic Surgery including Mohs surgery, blepharoplasty, skin cancer excisions, sclerotherapy, surgical earlobe repair and cosmetic tattoo excision. Dr. Kappel has lectured extensively and served as an instructor at numerous professional societies. She is the author of multiple peer-reviewed publications and book chapters and has presented her research at national and international professional society meetings. Dr. Kappel continues to be an active participant in clinical trials and prides herself with keeping up with the latest advances in lasers, cosmetic devices, and aesthetic dermatology. In her spare time, she enjoys spending time with her husband, also a physician, and their two children. Mohs surgery, neuromodulators, dermal fillers, dermatologic surgery including blephroplasty and skin cancer surgery, Cellfina™, ThermiRF™, Zeltiq® and Ulthera®, all aspects of aesthetic and laser surgery including ablative and non-ablative lasers for photorejuvination, pigmentation irregularities, and scar revision.